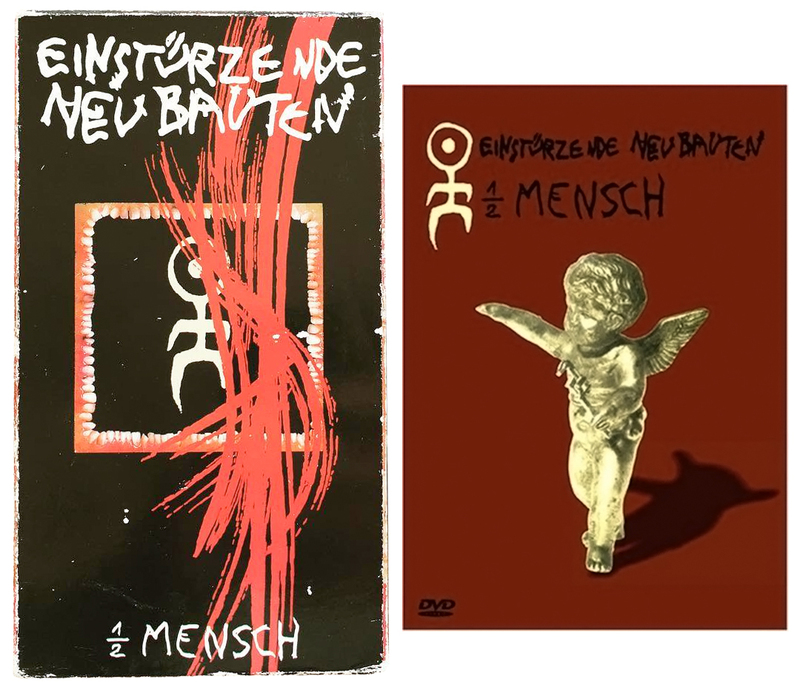 Einstürzende Neubauten released their 3rd full length album Halber Mensch (1/2 man) in 1985. They landed in Japan that same year on tour, hooked up with Japanese filmmaker Sogo Ishii in an abandoned warehouse, and together they made this perfect picture. Here’s the entire film in all its post-punk, dystopian glory. Neubauten and Ishii are clearly made for each other and the results of this fortunate collaboration are perhaps more disturbing today than when everyone was in the thick of it. I wish the quality was better but hey, it’s free. And what better way to spend happy hump day than to watch and listen to Blixa & Co. tear things. . . down. Halber Mensch, the film, was released on VHS in 1986 and subsequently re-released on DVD in 2005. If you don’t have 57:15 to spare, here are two excerpt (better quality) the first being one of the creepier moments. Enjoy!